In many traditions of folk magic, particularly in North America, a spell is sealed inside a jar, bottle or another container. This serves a number of purposes - the first being that it keeps the magic concentrated, and prevents it from escaping before the spell has been completed. The other nice feature of a jar or bottle spell is its portability - you can take it anywhere you like, whether it’s buried under a doorstep, tucked into a hollow tree, placed gently upon your mantle, or dropped into a port-a-john. Perhaps the best-known type of jar spell is the witch bottle. In early times, the bottle was designed as a way to protect oneself from malicious witchcraft and sorcery. In particular, around the time of Samhain, homeowners might create a witch bottle to keep evil spirits from entering the home on Hallow's Eve. The witch bottle was usually made of pottery or glass, and included sharp objects such as pins and bent nails. It typically contained urine as well, belonging to the homeowner, as a magical link to the property and family within. What sort of container you use in a jar spell or bottle spell will partially depend on the intent of your working. For instance, if you’re hoping to do magic to facilitate healing and wellness, consider putting your spell ingredients into a medicine bottle, pill container, or apothecary style jar. A spell done to “sweeten” someone’s attitude can be done with a jar of honey. In some forms of Hoodoo and folk magic, honey is used to sweeten someone’s feelings towards you. In one traditional spell, honey is poured into a jar or saucer on top of a slip of paper containing the person’s name. A candle is placed in the saucer and burned until it goes out on its own. In another variation, the candle itself is dressed with honey. You can make a banishing spell in a jar as well. In some traditions of southern rootwork, a jar of hot sauce is used for this process. The name of the person you wish to be rid of is written on a slip of paper and stuffed into the jar of the hottest hot sauce you can find. Shake the bottle every night for seven nights during a waning moon, and on the final day, get rid of the bottle so the person will “hot-foot it” out of your life. Some people choose to throw the jar into running water, but if you’re concerned about polluting the ocean or river, consider adding it into an existing landfill or dropping it into a port-o-john. In some forms of folk magic, vinegar in a jar or bottle is used to make things go bad. A well-known hex involves placing numerous magical links to the person you want to curse into a jar, filling it with vinegar, and then performing a variety of other actions on the jar, from shaking it to smashing it, depending on the spell in use. 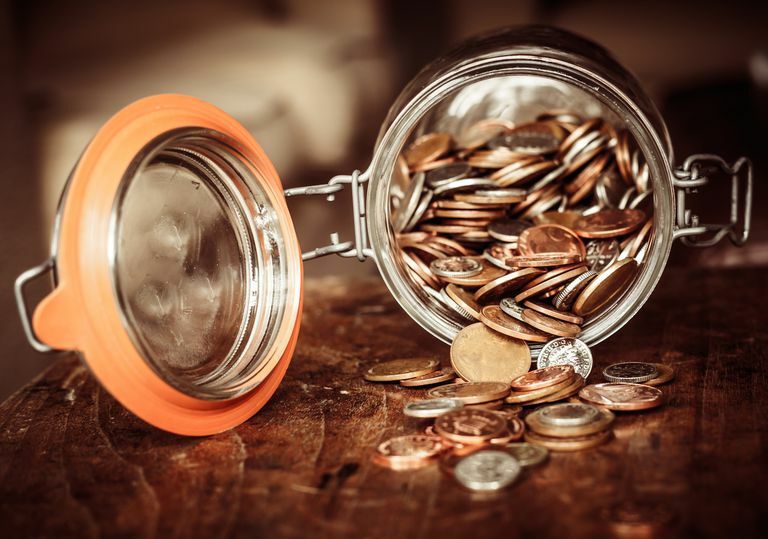 A money jar spell can be done to bring wealth your way—in some traditions, nine pennies are used, in others, it may be various other coins, and placed in a jar or bottle. In some cases, the jar may be painted green or gold, and then put someplace where it can be seen each day. Eventually, according to tradition, money will start coming towards you. Keep in mind that spell jars can be plain and simple, or you can decorate them to look pretty. The nice thing about a decorative, attractive jar is that you can leave them anywhere you like, and no one will even realize that magic is afoot.